The Bay is the place to be during Summer months. You can see plenty of boat races out on the water and get from place to place by boat takes less time than going by taxi, due to traffic on the roads. There’s always fun activities going on inland like public concerts in the park, film festivals, and the occasional parade. Charters are available, and staffed charters are a great option for people who don’t feel comfortable navigating through a lot of boat traffic. Andaman has it all. Friendly locals, fantastic food, and indescribable natural beauty. Charters are available for those who do not own their boat. 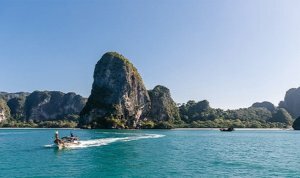 You can stop on one of the hundreds of limestone islands located between Malaysia and Phuket to do some exploration. Many have hidden beaches, tunnels, and chambers located within the islands. If you want to get off the board and have a great meal, Thailand is full of incredible restaurants, and you can get so much food without spending much money. The people of Thailand are very tranquil spirited and nice. You can walk around the cities and feel completely safe even after dark. Chagos is located in the middle of the Indian Ocean about three hundred ten miles south of the Maldives archipelago, and it boasts all the beauty of the Maldives without the crowds or high prices. 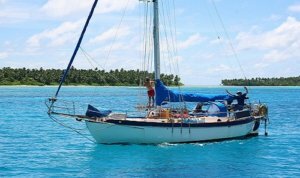 The only way to arrive in Chagos is via yacht; there are no available charters for Chagos. It’s a very exciting experience. No one lives on Chagos, and the maximum anyone is allowed to stay there are twenty-eight days. It is ruled by the British government, and they periodically do check passports. Chagos has great fishing; it’s why most people visit there if not to eat some fresh coconut right off the palm. There is so much to see while cruising in New Zealand. Charters can be taken out if you don’t want to make the voyage there in your vessel. Anyone will enjoy seeing the natural beauty of the fjords of South Island or taking in the calm scenery of the Bay of Islands. 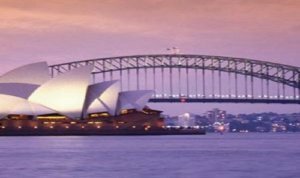 On shore, you’ll find English-speaking natives, and since New Zealand is a boating country, you’ll have access to anything you need for your ship. 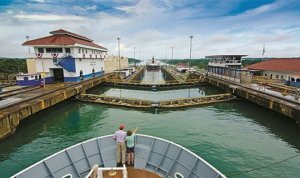 Cruise ships are always making the voyage through the Panama Canal, but some of the gorgeous islands in the world are located in between Costa Rica and the Panama Canal. Time on the beaches will be well-spent. The waves are perfect for surfing. The turquoise water is always temperate, never too cold. Vessels can be chartered in the Canal region. It’s also a great place to go deep sea fishing. The natural habitat abounds in Western Panama. Colorful birds flock to tropical trees and coffee berries can be picked from right off the bushes. 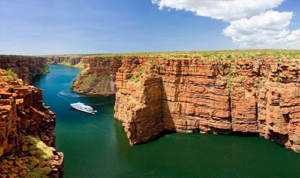 The Kimberley Coast is one of the most incredible places for sailing in the world. 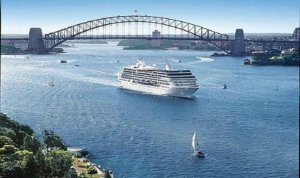 Cruisers can cruise the crocodile-laden waterways into the center of the Australian Outback. Charters are only available in Darwin since the Top End is not very populous. It’s so rural that almost every anchorage stays vacant. The wildlife in the water is fun to look at but dangerous to swim with. You will want to experience the animals at a distance from inside the boat. The waters around Cape Horn are dazzlingly beautiful but can be very dangerous. Charters are available, but they are crewed only. 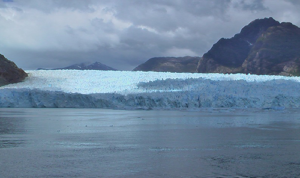 You will see it all while at sea, glaciers, mountains, and penguins. The temperature while cruising in the Straight of Magellan rarely gets above fifty degrees even in its summer time. During winter the average is thirty-seven degrees, so you’ll obviously need to bundle up. Pirates still exist around Africa, but cruisers can feel safe traveling around Tanzania, located in the Eastern portion of the African continent. Sailors can dock their vessels at the Dar As-Salaam Yacht Club. The locals are open-minded and accepting, making it one of the most eye-opening cruising destinations. There you’ll see a melting pot of individuals all co-existing and welcoming of travelers. Crewed charters are available after you’re done exploring the Serengeti or seeing Mount Kilimanjaro. 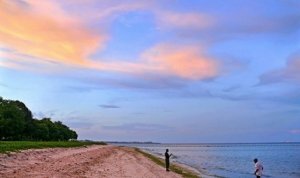 Africa is often thought of being overly hot, but this is not the case for most Tanzanian cities. The average temperature year-round ranges between seventy-two and eighty-five degrees and is even cooler in the more mountainous regions. Between French Polynesia and Australia, there’s the civilized island country of Vanuatu. 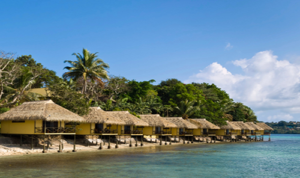 Vanuatu isn’t just one island; it’s a series of eighty-eight islands. With immigrants from all around the world cohabiting with indigenous peoples, over one hundred and twenty languages are spoken there. The crewed only charters can take you on the outskirts of the nine active volcanos on the islands. Known as the Pacific Ring of Fire, it’s one to add to the bucket list of cruising destinations. 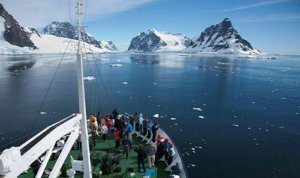 Those who don’t want to pilot through the Southern Ocean alone can get a crewed charter boat. Unless you have experience navigating through glacier filled waters, it’s probably the best idea. The Antarctic Peninsula looks like something from another planet, and the starry skies may have you feeling like you are floating in space. You won’t see much life there, so it’s one of the best cruising destinations for anyone looking to get away from it all and spend time alone.